Big beers and brats are like Spanish fly for the, “Drink Here Now” crew. It’s hard to pass up a day of gulping down liters of crisp German brews in a massive space where everyone and their mother is doing the same. The crew and I were recently in Midtown, Manhattan looking for a solid place to wet our whistle. The problem with this area is the shear amount of tourist traps lining the streets. Many of the pubs that exist here have absolutely no character at all, with high drink prices too boot. 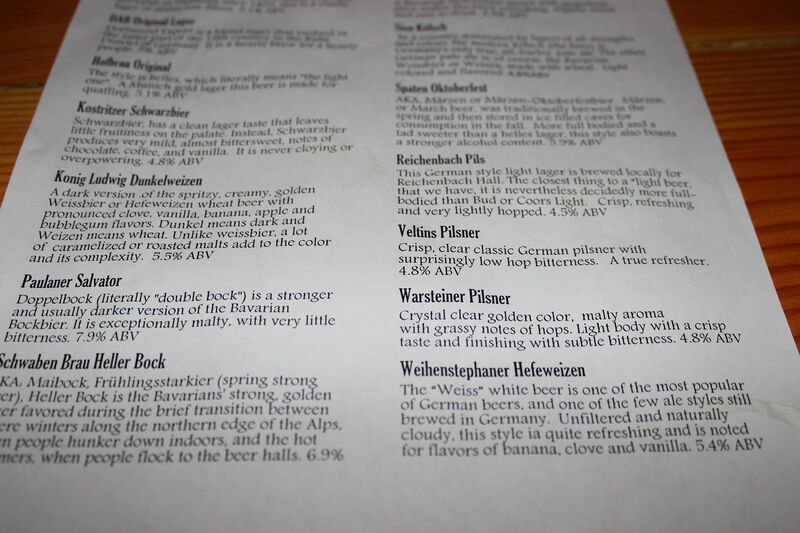 Luckily for us, their is now a silver lining in the form of the, “Reichenbach Hall.” The hall has only been open for a few months, but it is already garnering a ton of positive press and a following for those who like their beers large. It was a Thursday evening around 7pm when we ventured to the hall. At the time of this review there is a scaffolding bridge blocking the signage, but a few well placed German flags helped guide us inside. Once we passed through the large wooden doors our jaws fell wide open. Reichenbach was intimidatingly massive and completed packed upon first look. However, our nerves were instantly calmed when we approached the friendly host and she informed us that their was plenty of space to seat our party of four. As we made the short journey to our table, we gazed upon those already drinking and eating. We spotted the traditional over-sized beers and comically huge pretzels. A few moments later we took our seats at a large communal table with a few other parties. As we perused the menu to nail down our drink order, German pop and traditional beer hall standards provided us with a fun and lively soundtrack. The one thing you must know about the drink menu at Reichenbach Hall is that prices aren’t listed. A typical liter of German ale will run you on average $13, so expect to shell out some extra dough. Since this was our first visit we opted to keep it light and went for liters of, “Veltins Pilsner” which is crisp, clear classic German pilsner with low hop bitterness. The first sip completely mirrored the menu description. 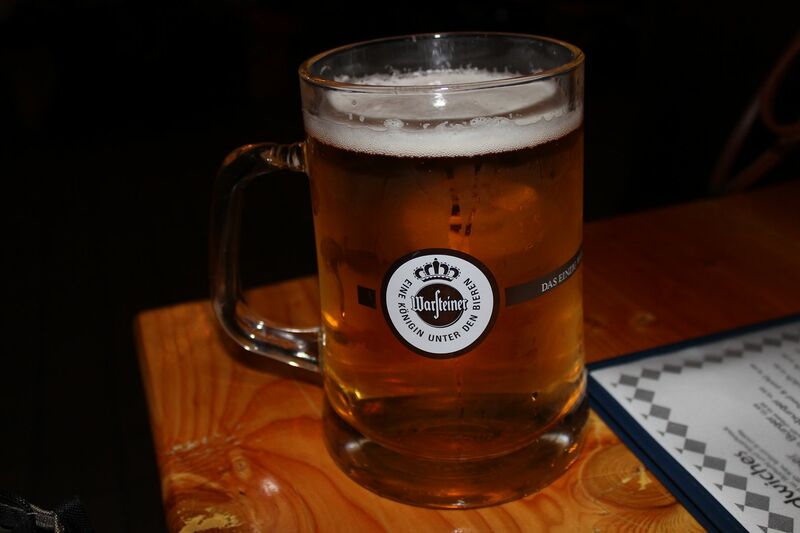 This pilsner was so easy drinking that we had to order several liters of it throughout the night. This lead to some great (attempted) German sing-a-longs, and plenty of toasting! In a neighborhood caulk-full of lackluster establishments, Reichenbach Hall proves that if you put in the effort a terrific bar can be born. 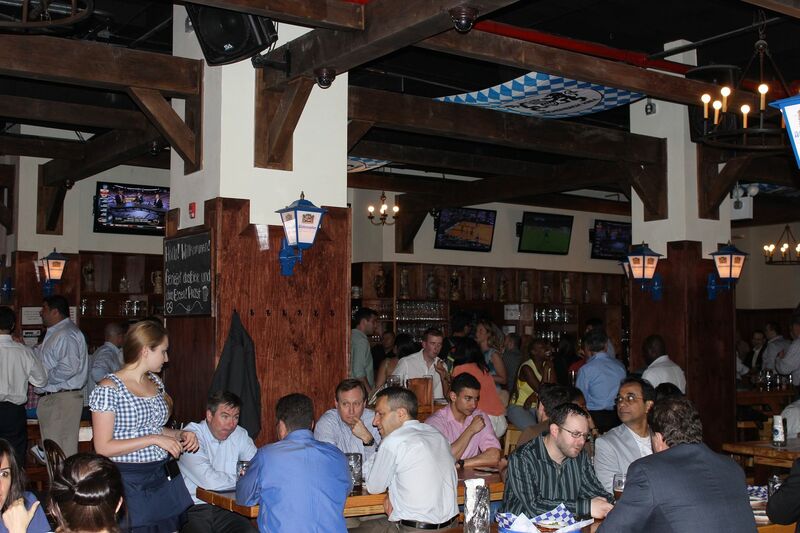 Bar Type – Gigantic German beer hall in the heart of Midtown, Manhattan. 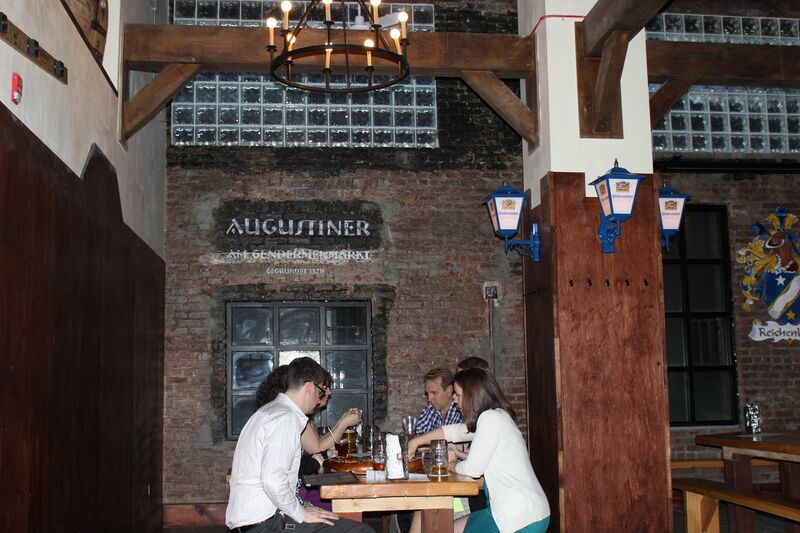 When to Visit – Beer halls in general are perfect to visit any day of the week. Our particular visit went down on a weekday where we were able to grab spots at one of the communal tables right away and received consistently fast service. Value – Listen, the beers are big and so are the prices. When you head out to Reichenbach Hall you’re doing it for the fun experience of being surrounded by hundreds of others who want to hoist a stein high in the air and party. The Lowdown – Reichenbach Hall may have only been open for a short while, but it is proving to be one of the best beer halls in the city. The hall’s massive size can easily accommodate hundreds of patrons, who can enjoy a unique German beer list and delicious Bavarian delicacies. Thanks for the great review! Great website.